A massive $10B suit against evil left-wing billionaire, George Soros was filed regarding his meddling in the politics of Guinea in order to settle personal scores. Soros used his power within the Guinea government to “freeze Israeli company BSG Resources out of the West African nation’s lucrative iron ore mining contracts,” according to Fox News. Whatever the ultimate outcome in the current case, it is not the first time Soros has been accused of sowing political upheaval to advance a personal agenda. Critics around the world, including in the U.S. and in Soros’ homeland of Hungary, say the liberal financier often masquerades as a humanitarian while manipulating the political landscape. “We are committed to use all legal means at our disposal to stop pseudo-civil society spy groups such as the ones funded by George Soros,” Hungary’s top education official, Minister of Human Capacities Zoltan Balog said recently. In the U.S., Soros has spent heavily on politics from local district attorney races to presidential campaigns. While his stated goals have included reshaping the justice system, achieving income equality, battling climate change and fighting racism, critics say he has used his money to buy massive influence within the Democratic Party. 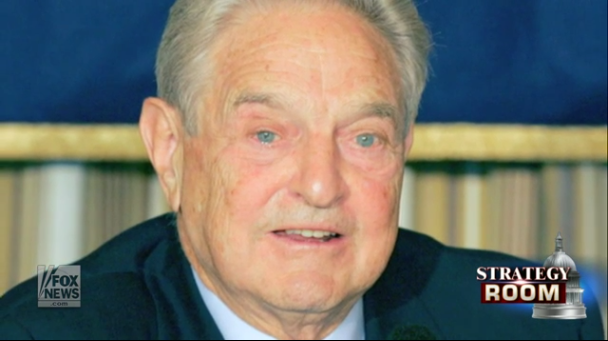 Soros has also been accused of using his Open Society Foundation and U.S. diplomatic connections to interfere with the government of Macedonia, according to Sen. Mike Lee, R-Utah.